The debate on what nowadays is called 'birth control' or 'family planning' is considered to have begun with Thomas Malthus's famous Essay of 1798. 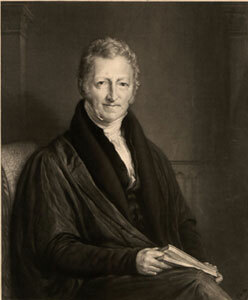 Malthus himself had not much faith in his proposal to make postponement of marriages curb the growth of the population, which made his predictions of imminent overpopulation even more threatening. He hinted at contraceptive methods, which he condemned. The people who took their inspiration from Malthus but sought to prevent overpopulation by contraception called themselves Neo-Malthusians. The complete text of An Essay on the Principle of Population by T. R. Malthus is available from the - Project Gutenberg website.